Every now and then, a beer comes to me with a recommendation from a friend rather than something I've found on a whim. This beer is absolutely one of those. This is the first beer I've had from Clown Shoes, and it definitely fulfills the reputation my friends have given it. 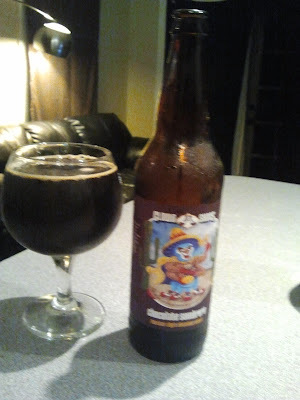 My friend Frank recommended the Vampire Killer, which has moved even higher on my list, but this bottle was given to my partner as a birthday gift, so this dark and delicious brew is my introduction to the massive talent that is Clown Shoes. First off, I'm a total sucker for dark beers, so I'm both predisposed to liking this and also preemptively jaded on the style. If a chocolate stout is poorly done, I'm going to notice it. This beer is not poorly done. It's incredibly delicious. This beer pours dark and beautifully with a very thin brown head. The aroma is appropriately heavy on the chocolate, but a sip of the beer provides a slightly more complex experience. If you've ever had a Mexican-style hot chocolate, you know what they're aiming for here. For the most part, they succeed. Of course this isn't nearly as sweet and syrupy, but this does good justice to its goal as far as beers can go. 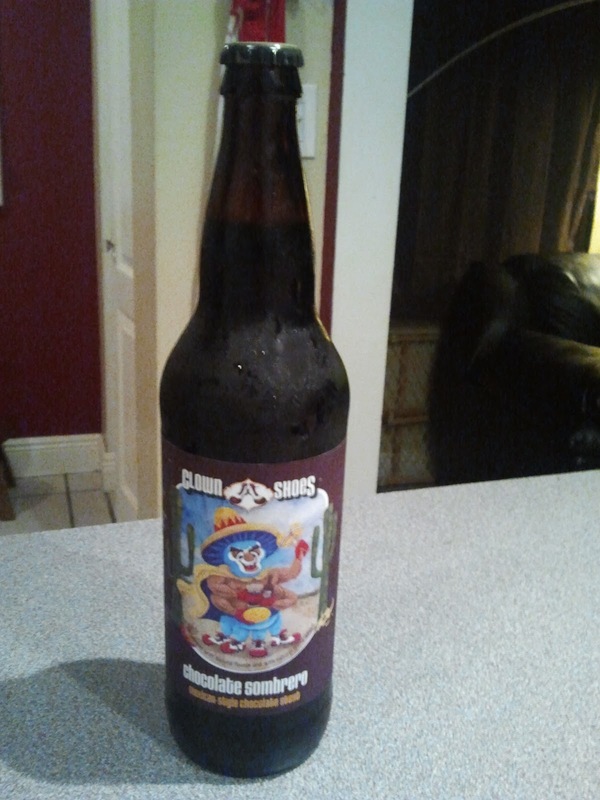 In addition to chocolate, this beer has ancho chilies, vanilla, and cinnamon thrown into the mix. They all combine relatively smoothly, with the lightly spicy aspects playing nicely at the back of my throat after each sip. It's a delightful experience and is proving to be richer of an experience than I anticipated. 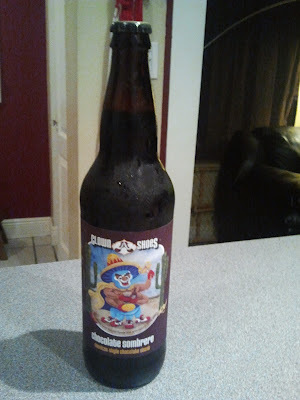 For a brewery I hadn't even heard of before I started this blog, Clown Shoes have thoroughly impressed me with this stellar stout beer. I'll definitely be revisiting this one, and I couldn't be happier that I've got such generous friends. Expect another Clown Shoes review from me soon. They're on my radar now.